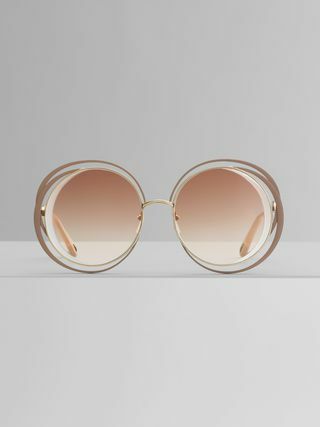 Decidedly glamorous and with a distinctive retro attitude, the Maison's iconic Carlina sunglasses encapsulate a breezy, feminine and fluid mood. In this luxurious version, the signature concentric circles around the frame are reinterpreted with hand-painted terracotta enamel for a contrasting effect. 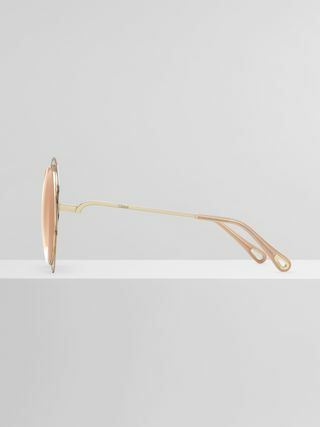 Thin on the inside and wider on the outside, the bold circles spiral around the distinctive thick bevelled lenses. 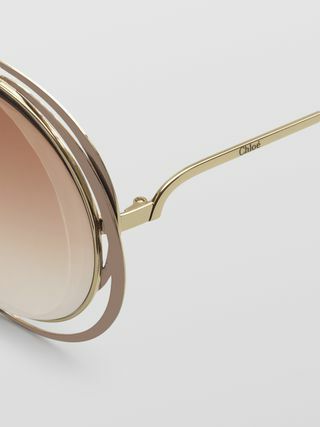 The petrol blue hue of the gradient lenses complement the retro allure, while Chloé's signature drop-shaped opening at the temple tips allows for pairing with eyewear jewellery.